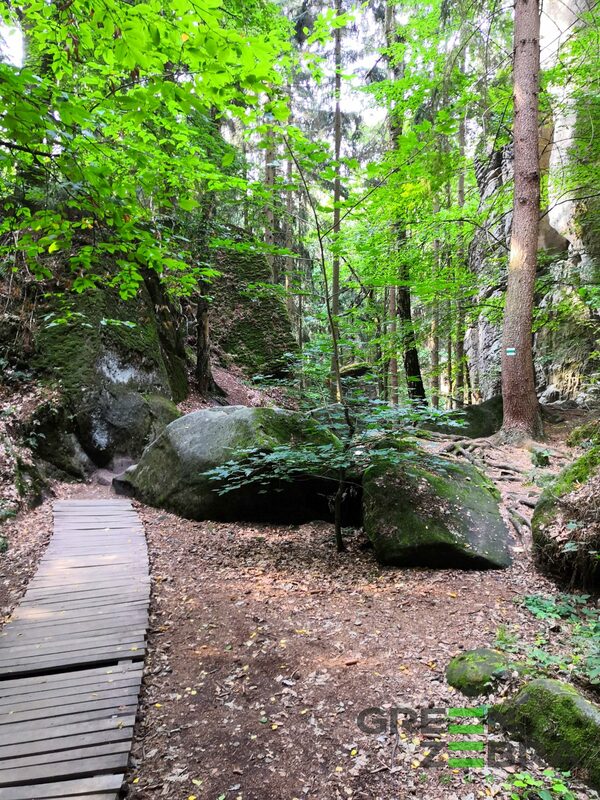 Escape Prague crowds and spend a day in fresh air! 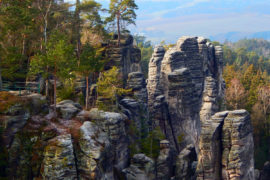 Český ráj (Bohemian Paradise) UNESCO geopark – Wild nature, breathtaking rock formations, romantic viewpoints, medieval castles and ruins. 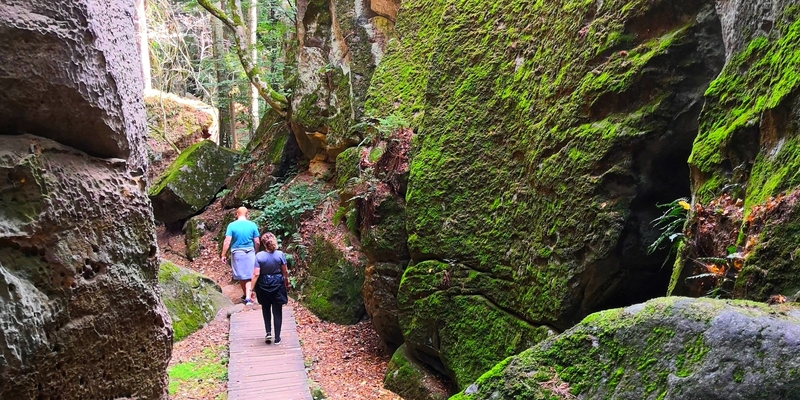 An ideal place for a day trip, one hour from Prague only. 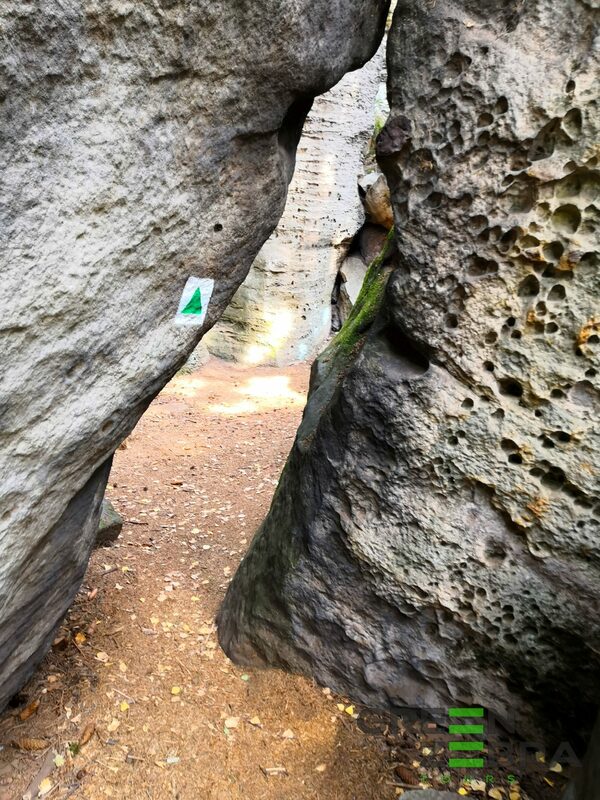 All inclusive tour with three nature walks and lunch. 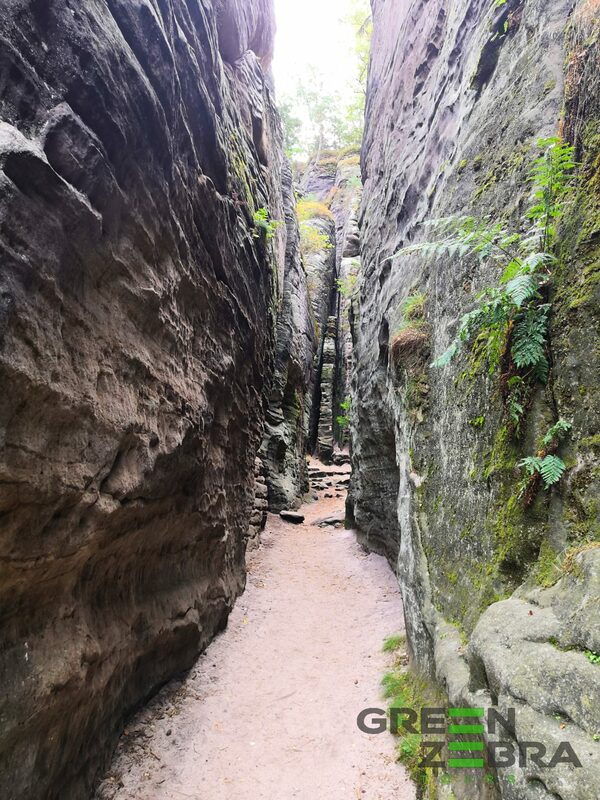 Enjoy a great day in fresh air and visit amazing rocky spots! 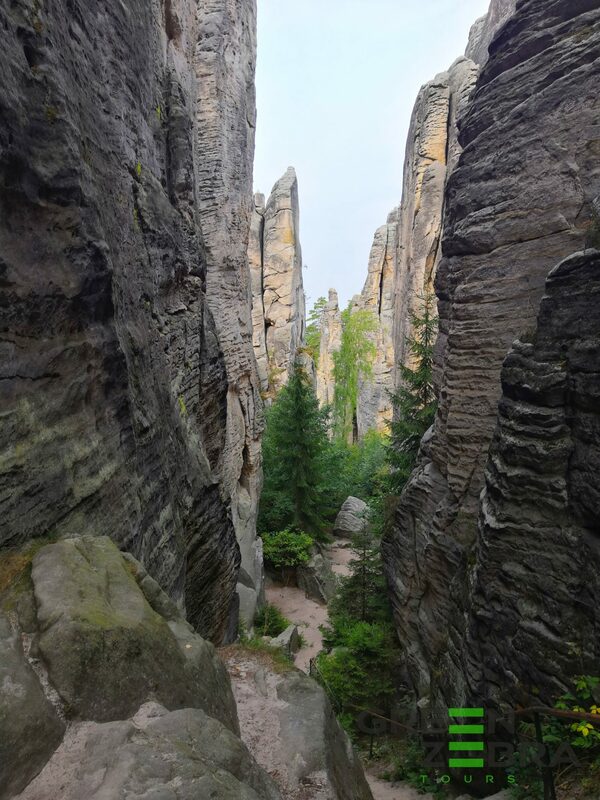 Český ráj (Bohemian Paradise) became first protected landscape area in the Czech Republic and it is the only UNESCO geopark in the country. 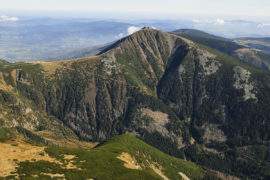 It is one of the most visited regions in Central Europe due to its amazing natural and historical heritage. 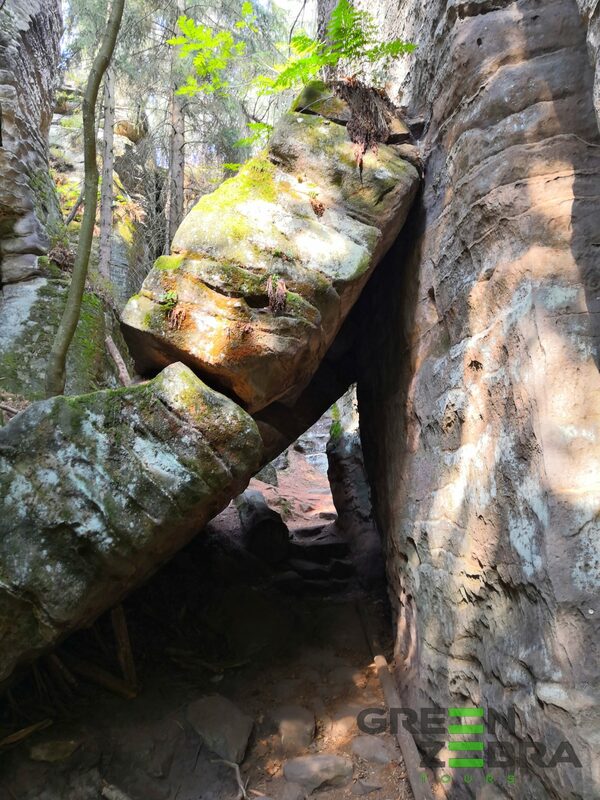 This tour offers a mixture of nature, wilderness and local hospitality. 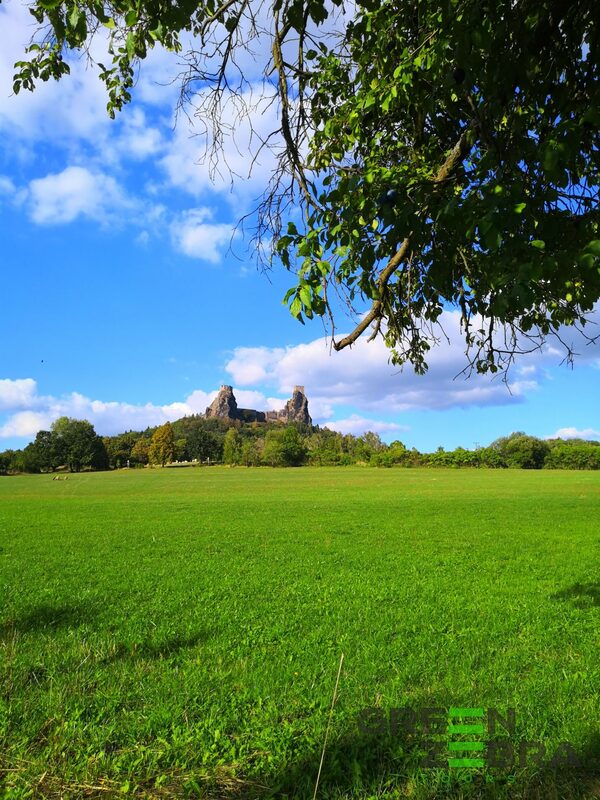 You will visit three different areas, see lots of rocks, viewpoints, castles, castle ruins and have an á la carte lunch in local cozy restaurant. 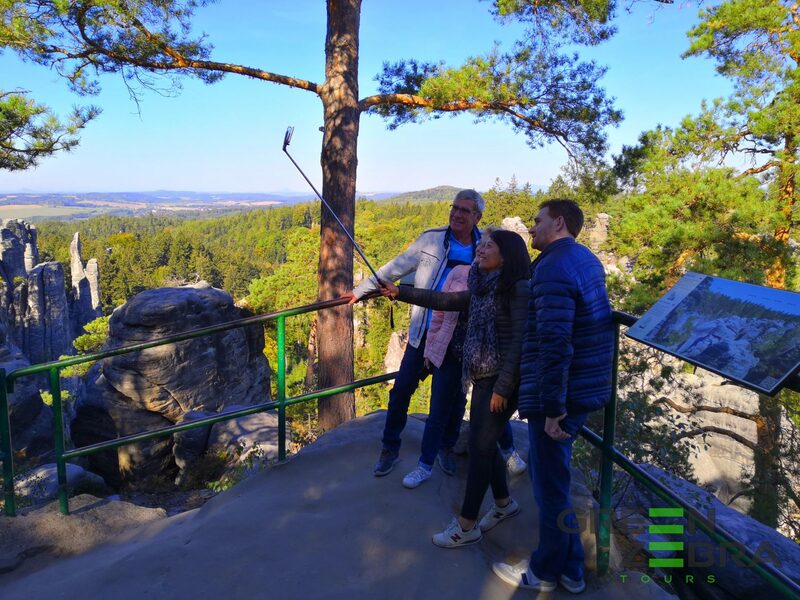 Our experienced guide will stay with you all the day and tell you a lot about the region, about Czech Republic and about everything you will ask. 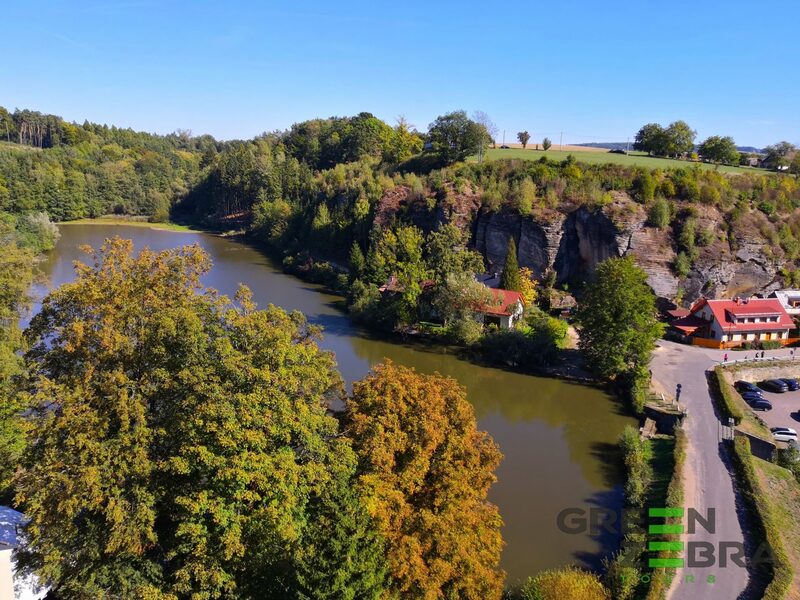 Český ráj (Bohemian Paradise) is an ideal place for a day trip from Prague, because it is one hour driving only, so you will not spend a day in the car. 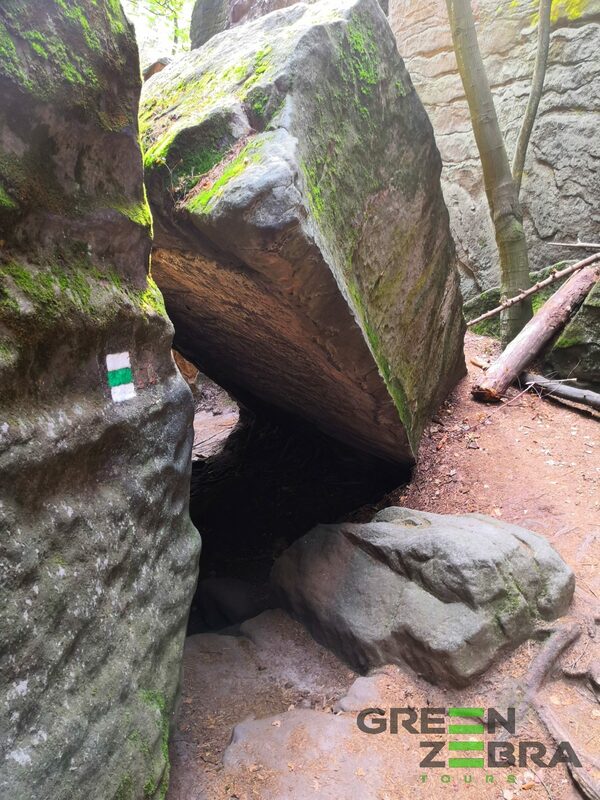 This tour is suitable also for children (they will love stones and rocks) and elderly tourists. We guarantee unforgettable moments! Thanks for awesome trip to Bohemian Paradise. 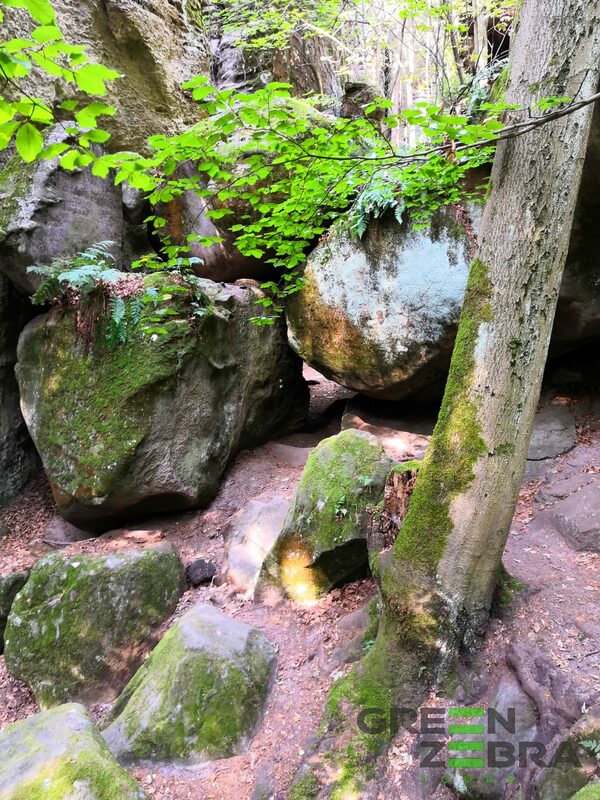 To be honest we didn’t expect such a wild nature with huge rocks so close to Prague. The best day trip we took here, no doubts. And not too much hiking, which was cool. Excellent tour. Everything was right on time and the food was delicious. Tomas is an excellent guide. 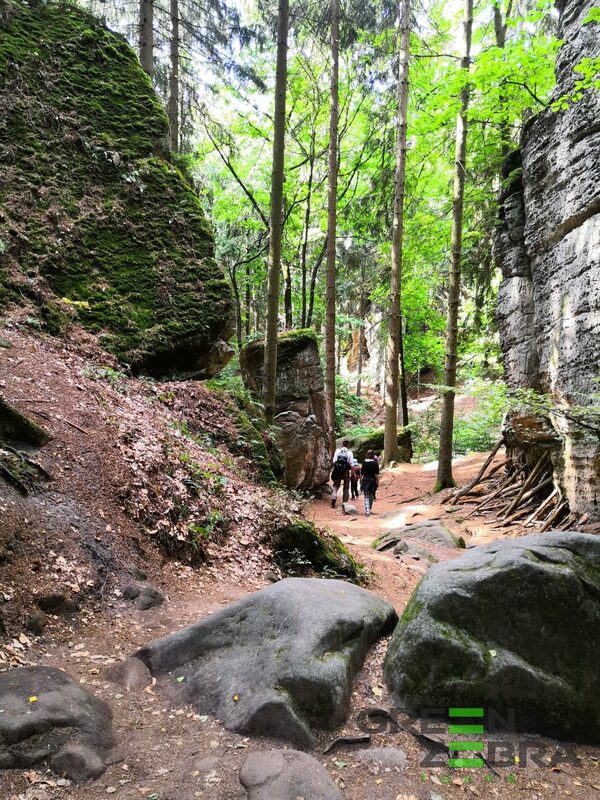 For Czech nature trip, Bohemian Paradise, Thomas is the best guide one could ever have. We were a family of five with 3 children. He was very informative about everything in Prague. Even the tiniest details. He was very adjusting and very flexible according to our children’s needs. A very considerate person. We miss him dearly. Specially my kids who still remember him as Thomas Uncle. I wish we had you in every country that we go Thomas. Miss u dearly my friend. 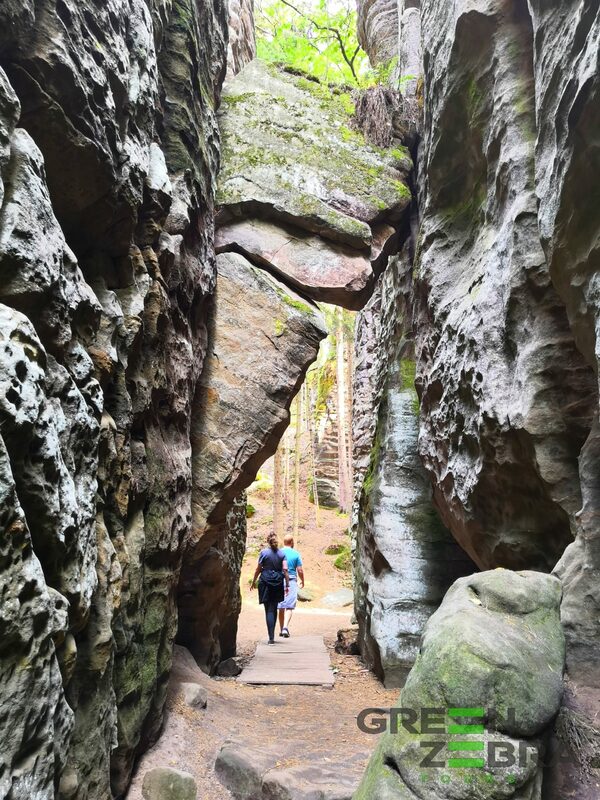 Unique Experience in Bohemian Paradise! 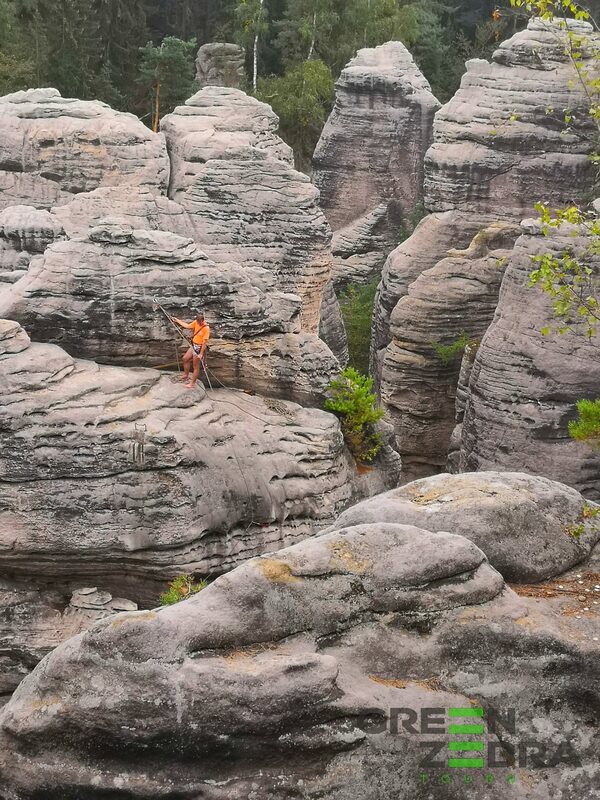 Tomas knows the Bohemian Paradise like the back ofnhis hand and was able to br8ng us on routes that was less travelled. He was also flexible to make changes according to our needs which was very much appreciated. 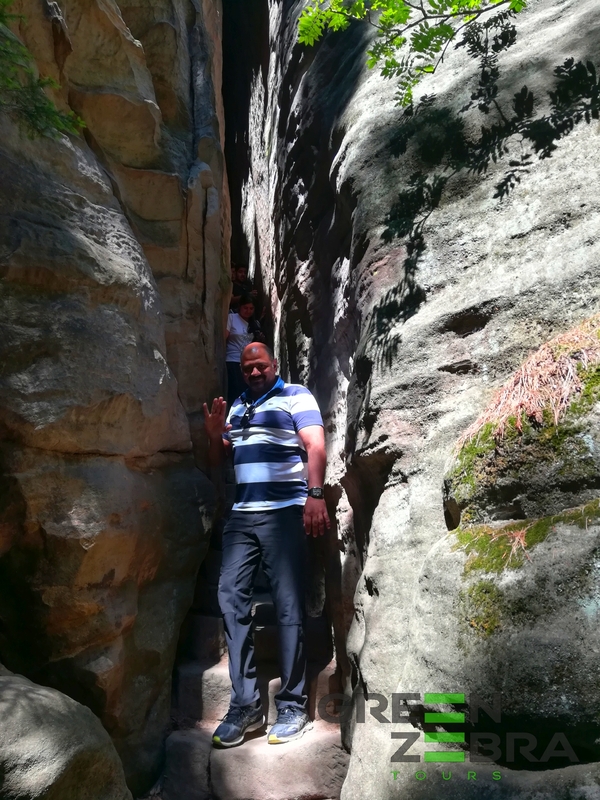 The tour was very enjoyable with his great knowledge and sharing of his experiences. 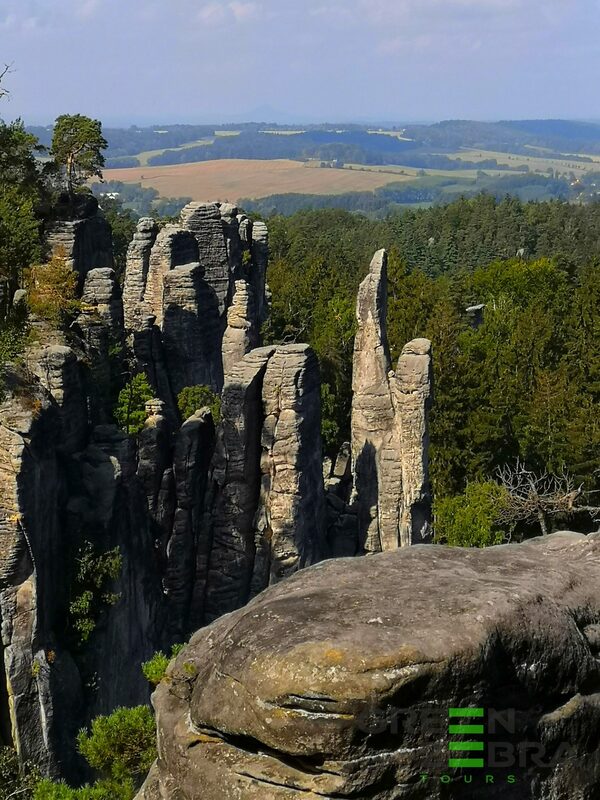 This tour is Most highly recommended if you want to have a unique experience in the Bohemian Paradise or Prague! thank you so much, I like spending days with clients like you. I am glad I had a chance to show you part of our nature. 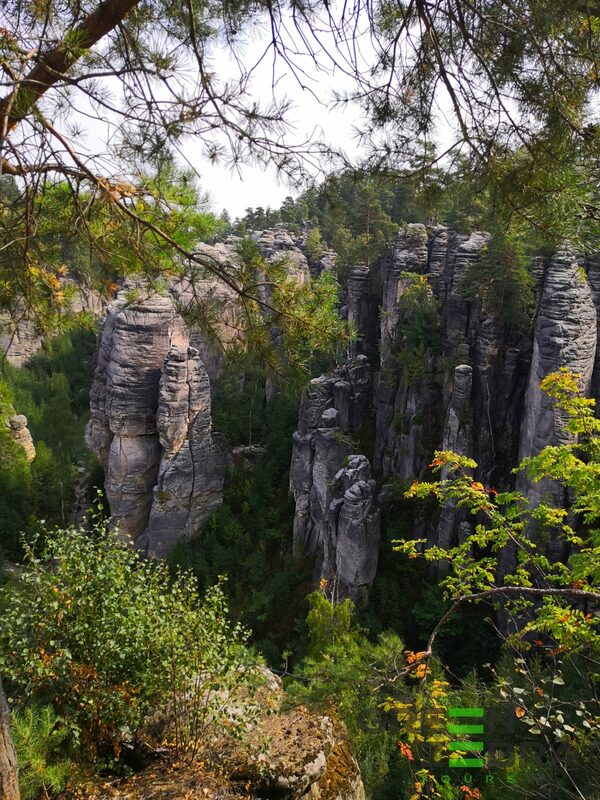 Bohemian Paradise – lovely day trip out of Prague! 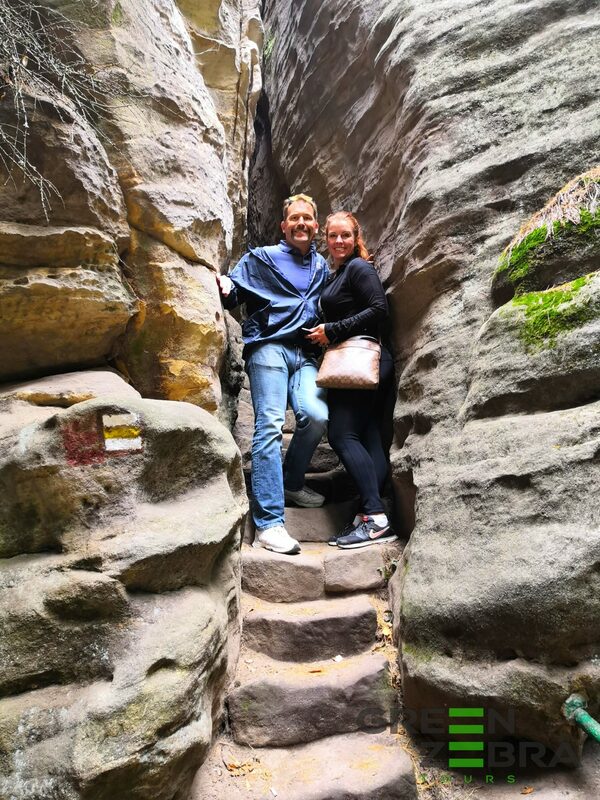 My wife and I very much enjoyed a day trip led by Tomas Kalensky, the founder of Green Zebra Tours. 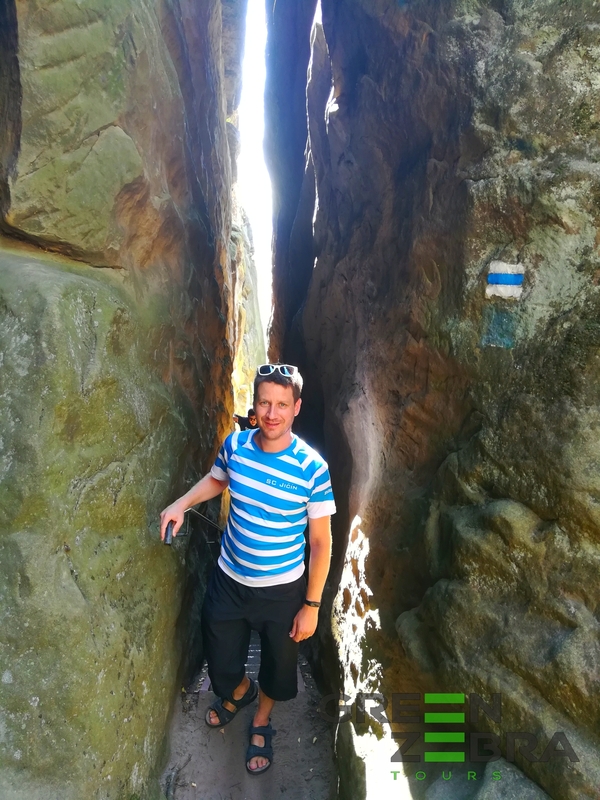 Tomas, a local Czech citizen and a university graduate, in his mid-late thirties, was personable, engaging and led us to a number of interesting sites in a fun day out of Prague. Tomas speaks English well, and added to the tour by sharing his local knowledge and experiences. He showed up on time in picking us up from our hotel. Worth noting the passenger van Tomas drove us in was large and only 2 weeks old! It could certainly accomodate quite a few more people than just the 2 of us on the tour that day. It was good Tomas gave us a private tour. 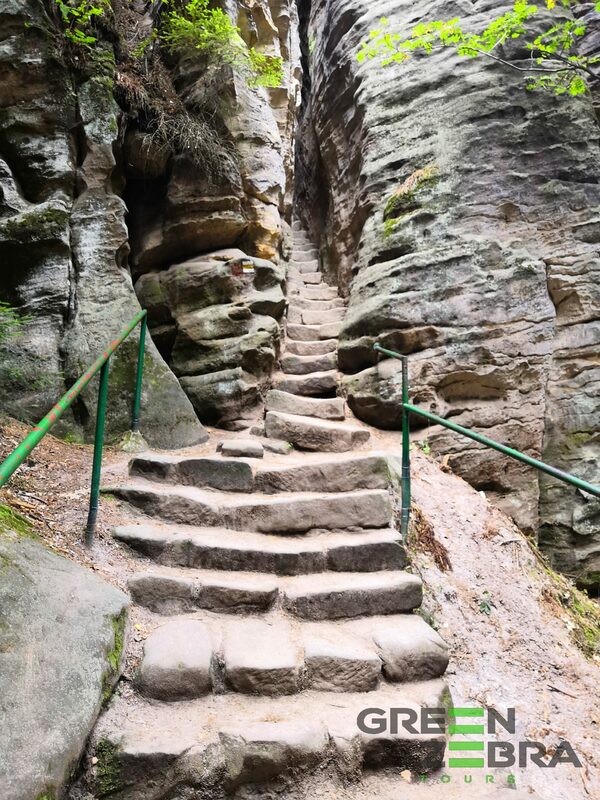 The trip covered Cesky Raj, about an hour from Prague. 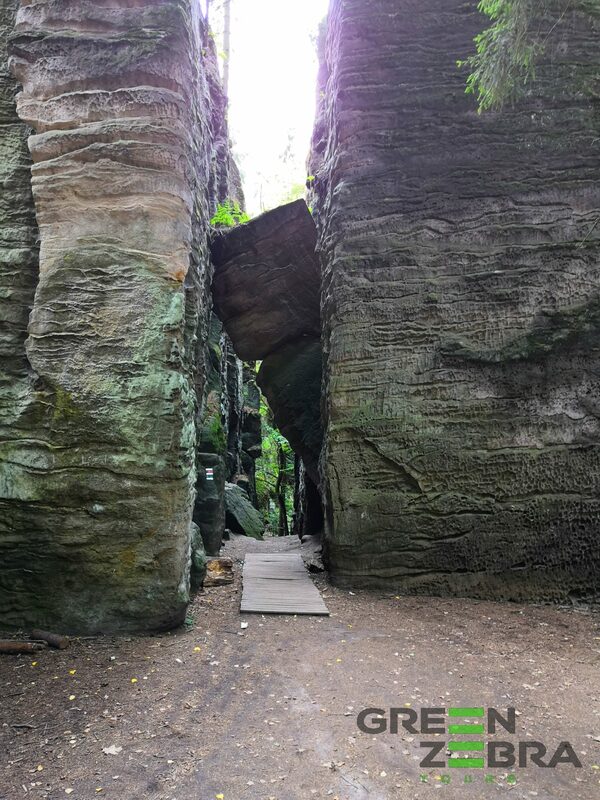 The venue is a protected nature reserve which has spectacular upstanding sandstone formations, the likes of which we have never seen. 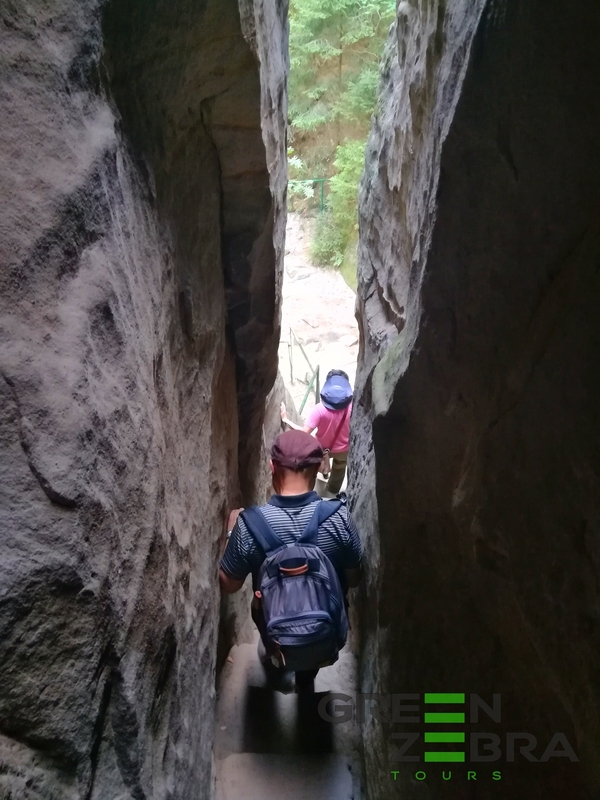 The hike up to various viewing points was easy and memorable through beautiful forestry. After that we were treated to a very delicious lunch at a pub in a local small town nearby where Tomas grew up. The lunch was freshly cooked and delicious. Following lunch we visited a private castle which was substantial in size and rather impressive in its presence. We did a walk around on the outside, as the castle that day was not open. That did not bother us as the view of the castle from the outside was quite enjoyable from our standpoint. All in all, a lovely day with a safe return. Do check out Green Zebra. We’ll have no hesitation in using them again. Thank you for that and for nice talk during the tour. When you come back to Czech Republic or nearby, just let me know, I will be glad to meet you and make another nice tour for you! Our driver and guide, Tomas, was able to pick us (party of 4) up at our hotel (at our request). He was a friendly guy with very decent English and he had no trouble answering any of our questions or giving information about any of the sites we visited. The bus was very clean and in good condition. 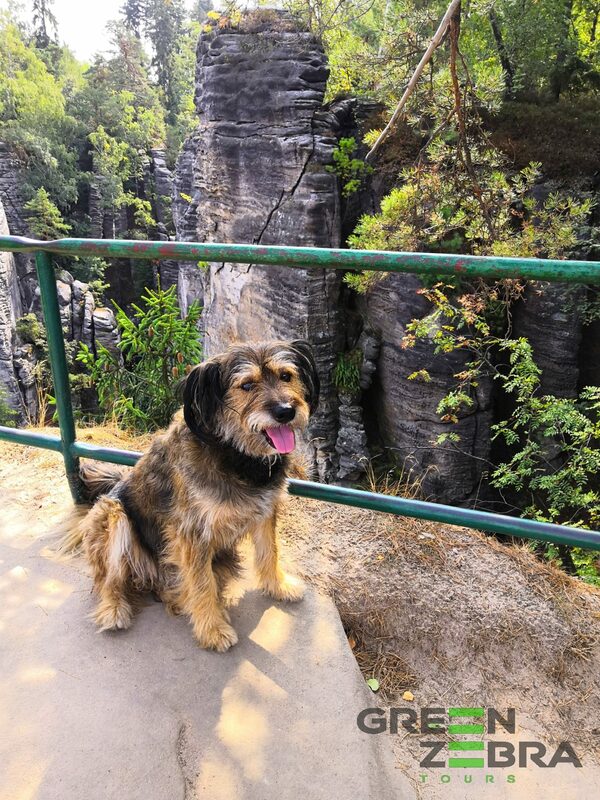 We first went to the Český ráj (Bohemian Paradise), about 1 hour driving from Prague. 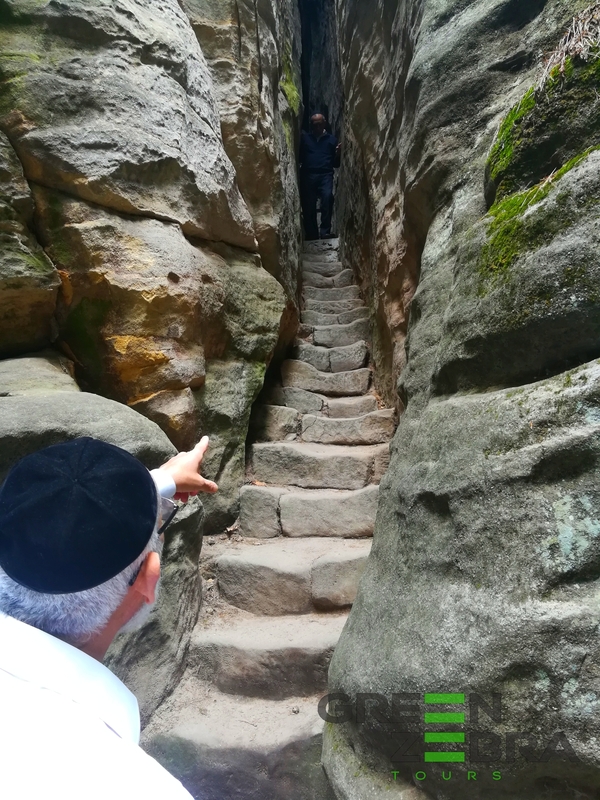 Once there, our guide took us around the rock formations in quite a relaxed pace, and we had enough time to enjoy the beautiful views, ask questions and take pictures. After that we took another 20 minute drive to Castle Kost, a mid 14th century castle. The tour by the (castles) guide was in Czech. There are translated booklets available in various languages, but in o6ur case, Tomas was happy to stroll along with us and provide us with the necessary translation. By now it was time for lunch, and instead of staying in the restaurant/cafe at the castle, we went to a charming little restaurant not too far from there, where they served fresh and local cuisine. We had a good hearty meal to take us through the rest of the day. 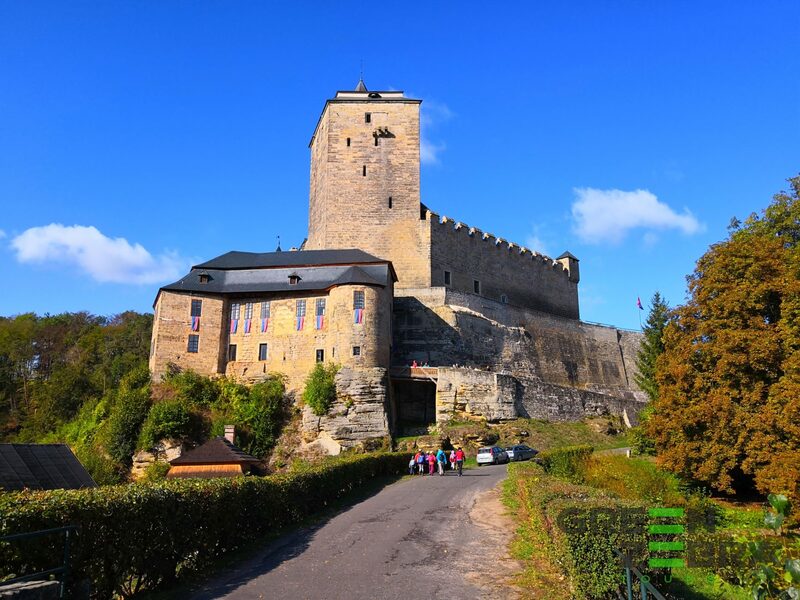 Tomas suggested we could skip dessert/coffee and instead use the time to visit the Trosky Castle, One of Czech Republics most famous castles. This was originally not part of the tour, but since we were in a small group we had some extra time. Of course we agreed. Trosky is really just the castle’s ruins and in itself not all that much more interesting than Castle Kost, but the view from the top of the tower is spectacular. 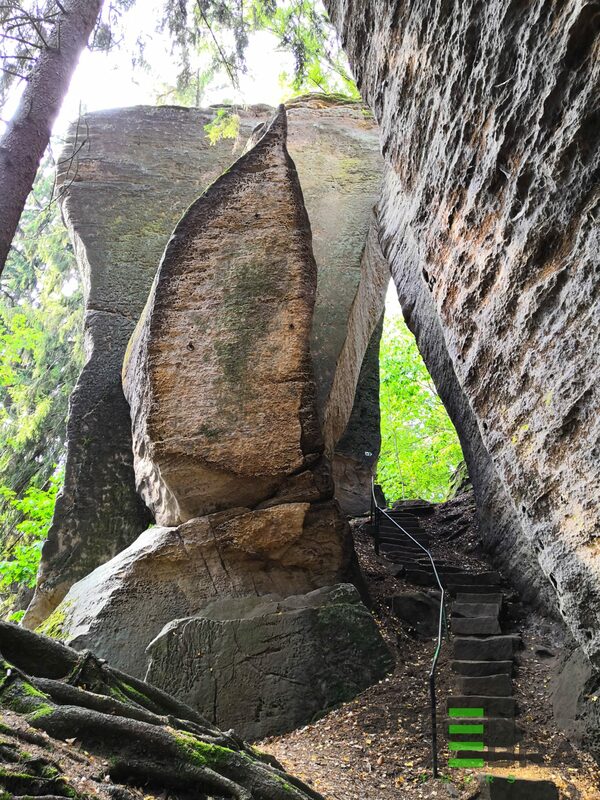 (Once you get up there, which is quite a climb, using stairs). Our last stop of the day was the Svijani beer brewery. Tomas and a local guide took us around the complex and told us about the history of the brewery and explained the various stages in the process of brewing beer. Unfortunately since we were there on a Sunday there was no actual brewing going on at that moment. We finished the tour with a tasting of some freshly brewed beer. Tomas then drove us back to Prague and dropped us at our hotel. All in all, we had a fun and full day, but never in a hurry or any long waits. Traveling between sites does not take too long so you don’t feel like your stuck in a bus all day. 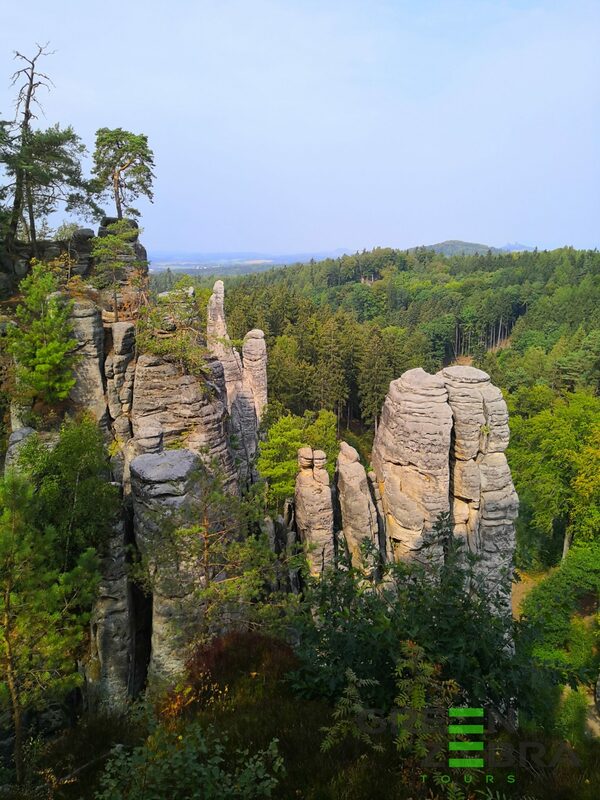 My husband and I went on the Bohemian Paradise Tour and we can highly recommend it. It was a long day but we saw such a variety of interesting places that it was worth it. Thomas was a great guide – very friendly, knowledgeable and an excellent driver. So glad we used this tour company. thank you for going with us, I am glad you and your husband enjoyed the tour! Great tour, organised tour with English speaking tour guide. The guide picked us up from our hostel. The lunch was also great. We went to different places that are worth going. 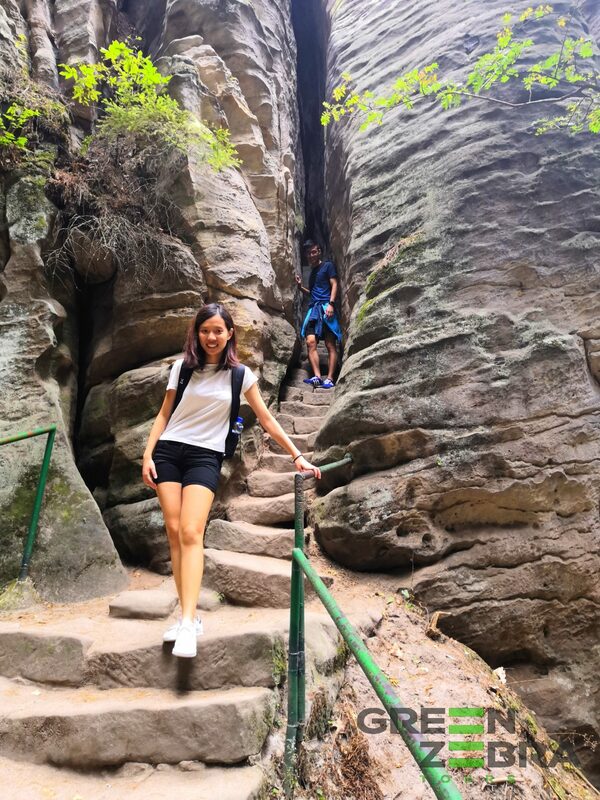 Hi Jolie C, thank you for choosing us for your out of Prague tour! Богемский Рай – Отличная поездка недалеко от Праги ! Совершенно уникальный природный парк и удивительно разные замки ! Вкусный обед и посещение пивоварни ! Рекомендую ! Hi Vlad, thanks for your review and see you soon in Czech again! 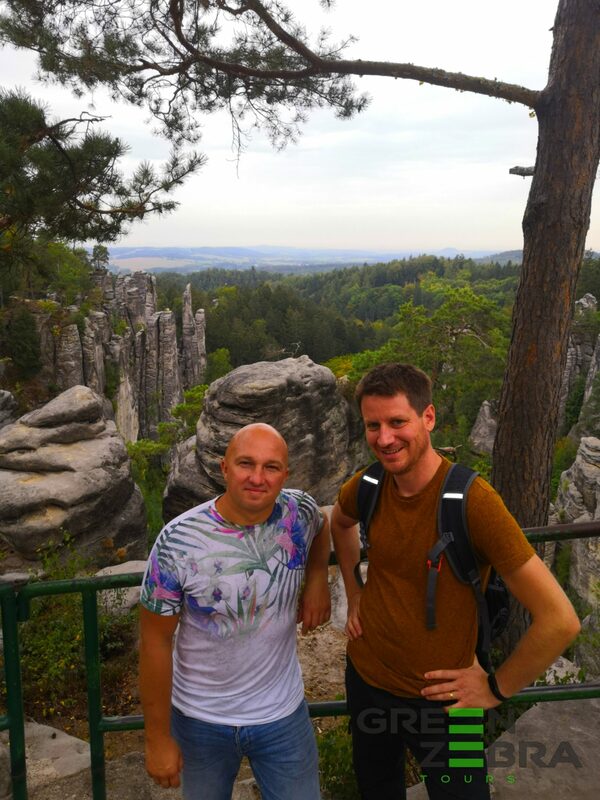 We had a wonderful time in Czech republic with our guide Tomáš! 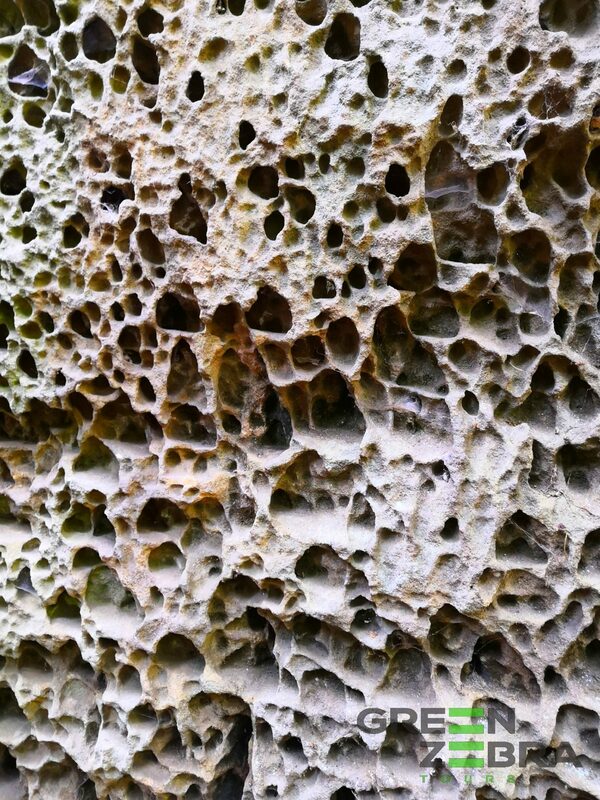 We did Bohemian Paradise walking tour around rock formations and castles. Really nice day.. I was very satisfied with the tour! He knew his history, and can offer delicious local food. Much recommended! Hi Tomas, Thank you so much for organize wonderful trip for us at Prague. We have so much fun and memorable trip. 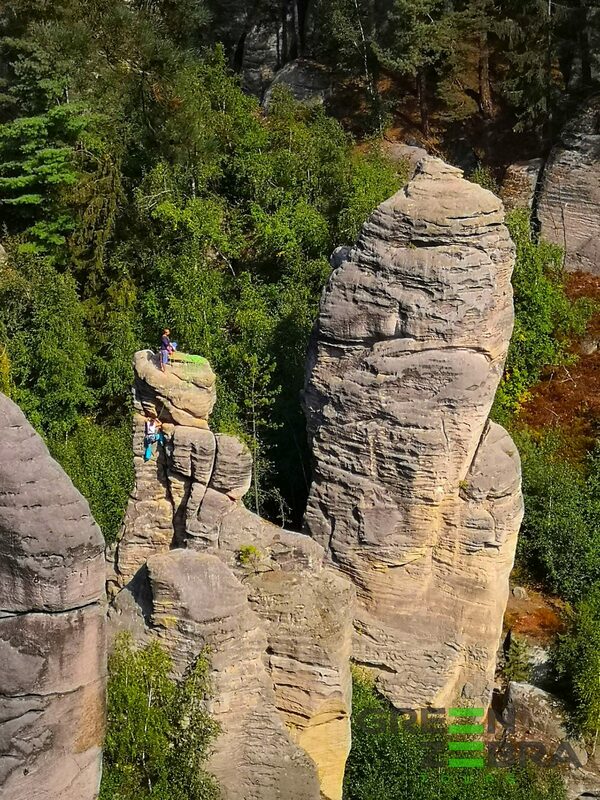 Next time let’s go travel to other great places in Czech nature. I am so glad you enjoyed your trip. Wish you all the best and see you in Indonesia or Central Europe again! Hi Soroush, thanks for your review! Looking forward to your country, see you in Iran!